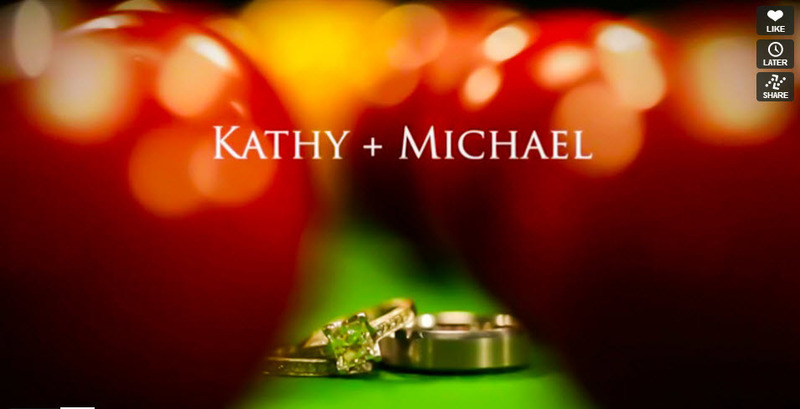 Wedding Videography Kathy and Mike Same Day Edit Video – Vancouver Wedding Videography Life Studios Inc.
Life Studios was lucky enough to be able to shoot our very first black and white SDE for Kathy and Mike Same Day Edit Wedding Video at the gorgeous Terminal City Club! Inspired by the great Justin Timberlake “Suit and Tie” music video, we wanted to make this video feel like watching an old favourite movie reel. Not only were we lucky enough to be able to film in black and white but being able to shoot in a hanger with an aircraft was beyond cool and that was just the beginning! Kathy’s beautiful red lace dress perfectly matched the vintage, black and white feel of the wedding and the lucky meaning of the colour red couldn’t be more fitting, as what could be luckier than having found each other! “Keep your fingers clean,” Michael writes after gifting Kathy with gorgeous earrings and a bag of Cheetos, which Kathy loves. We love the awesome personalized gift and touch of humour! The sweet ceremony was sealed with a romantic kiss after they exchanged their vows and these two couldn’t stop smiling! The reception was also held at the Terminal City Club where all the details and decor echoed the vintage, classy and chic feel of the wedding. Thank you for letting us shoot such an amazing video Kathy and Michael and we can’t wait for you to see the stunning photos! Sit back and grab some Cheetos while watching this timeless Wedding Videography Kathy and Mike Same Day Edit Video!